A couple of weeks ago, I heard rumor of a new BBQ joint opening up in Charlotte. As I read more and more about it, I started getting excited and determined that I just had to check this new place out soon. Well that new place is Midwood Smokehouse, and I took the opportunity today to check it out before having to head in to the office. 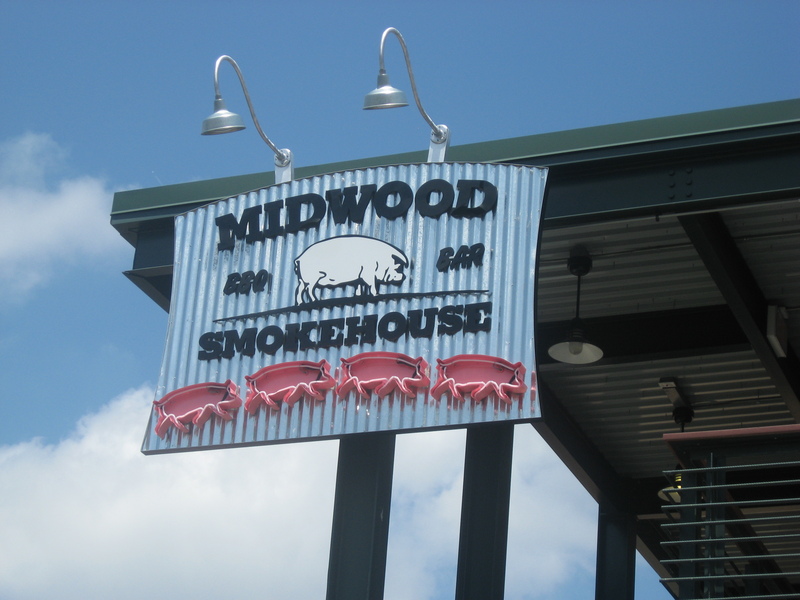 Nestled in the Plaza-Midwood neighborhood of Charlotte, NC, Midwood Smokehouse is the newest restaurant opened by longtime Charlotte restauranteur Frank Scibelli. 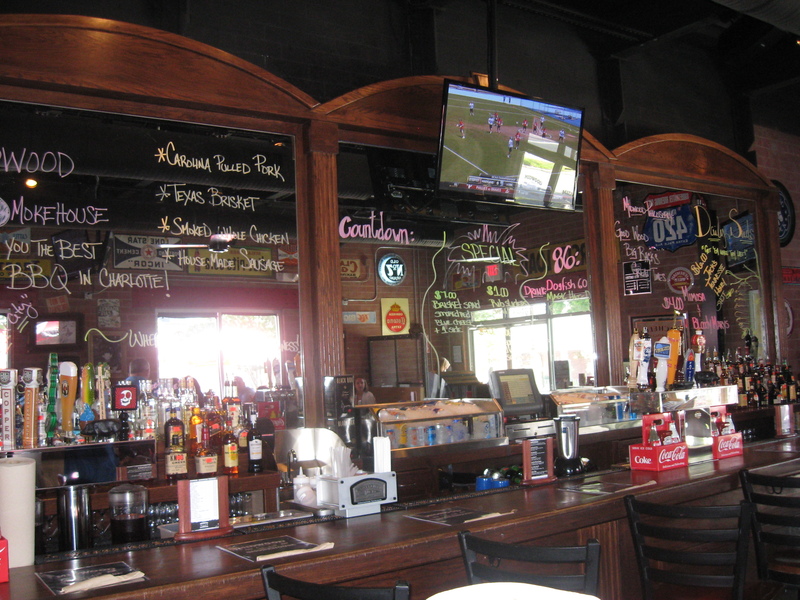 Scibelli is the brain child behind several popular Charlotte restaurants such as Big Daddy’s Burger Bar and Paco’s Tacos and Tequila. As noted in an interview with Charlotte Magazine, Scibelli’s restaurant fully intends to produce serious, authentic BBQ using a cooker fueled by nothing but wood (thank you for the correction regarding this). To accomplish this goal, he traveled around North Carolina to research the state’s well-known pork barbecue joints, and he also collaborated with James Beard award winner Robb Walsh on the intricacies of Texas barbecue (read: brisket). My task for today was to see how close he came to meeting this goal. Since Midwood Smokehouse has been open for less than two weeks, the menu was a little limited. However, plenty of options were still available, ranging from Eastern Carolina style pork to brisket to sausage made on the premises. 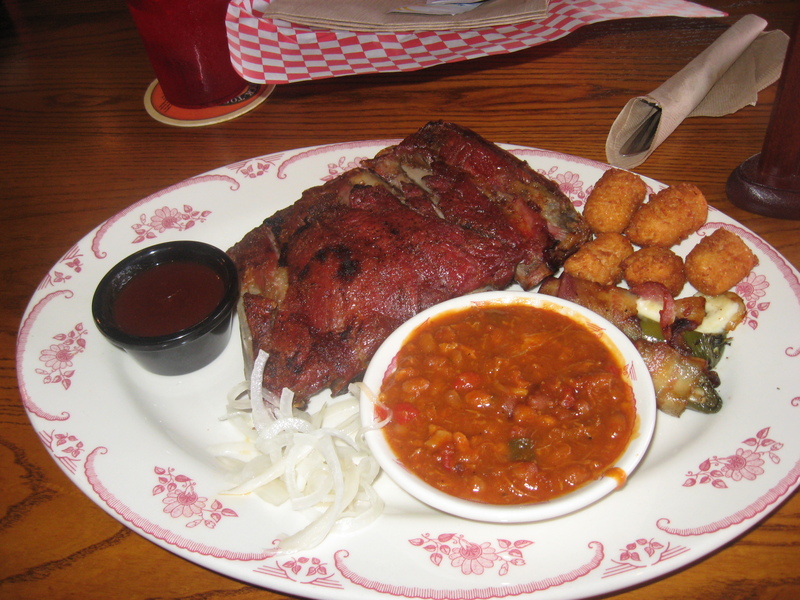 After perusing the menu, I ordered a half-rack of ribs (St. Louis style) with a side of BBQ baked beans. I requested that the ribs be sauced. In addition, I ordered an additional side of bacon-wrapped jalapenos stuffed with cheese (which I lovingly refer to as ABTs, or atomic buffalo turds). The server was very pleasant, taking her time to go through several of the menu options and offer her personal recommendations. After about 10 minutes, my order arrived. The first thing I notice is that the ribs were served with sauce on the side instead of being glazed on the ribs (as I expected). The food certainly looked appetizing, and I will get to my thoughts on the food shortly. As I was taking pictures of my food, the general manager came over to my table. I introduced myself to him (as I emailed him a few days ago about arranging a time to see their smoker), and he immediately offered to bring me a sampling of their other menu items. How could I possibly refuse? As if I wasn’t already starting to feel full enough, out comes a sampling of pork, brisket, prime rib, sausage, and other goodies. The back membrane had been left on the rack when it was cooked. 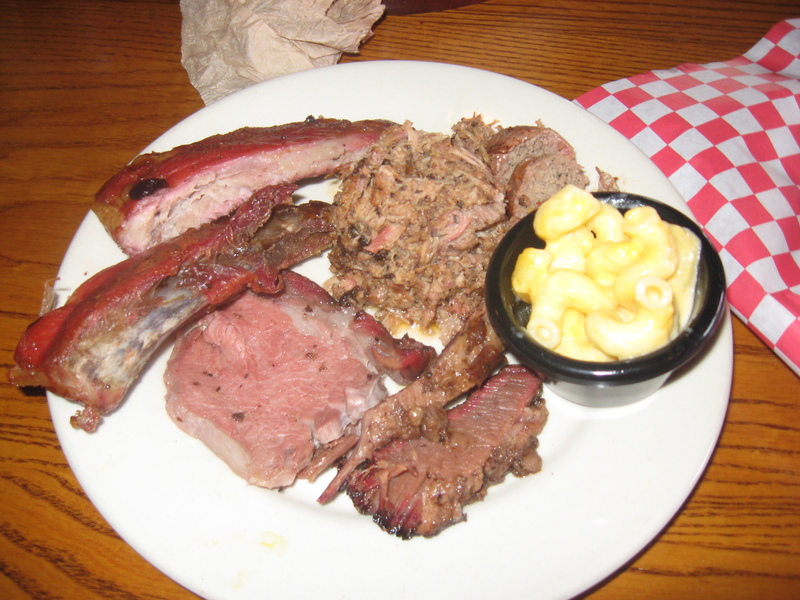 The rib meat pulled right off the bone without any resistance, which signified that they were a bit overcooked. The sausage was a very mild sausage. It had a bit of a crumbly texture. Since I’m not an expert on how authentic Texas-style sausage should taste, I won’t give an opinion on that. The brisket was good, with a nice texture and taste. The pork was, in short, PERFECT! It had a perfect savory flavor, and the texture was on point (and not mushy like a lot of Eastern Carolina style pork can be). Honestly, the pork did not need any sauce, but I decided to try it with the vinegar-based sauce. The sauce added an extra dimension to the pork. 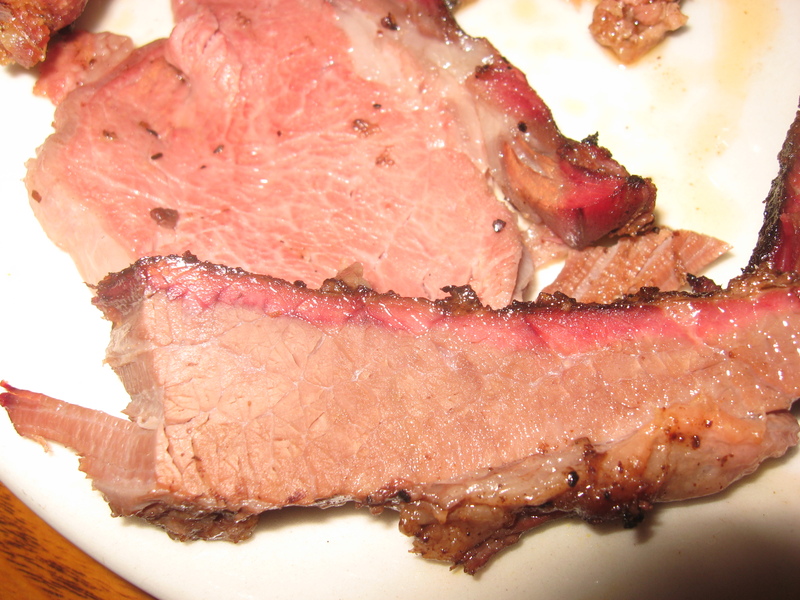 Finally, the prime rib… why didn’t someone introduce me to smoked prime rib before? Completely and totally droolworthy! This one is definitely on my repeat list. So would I recommend this BBQ joint? Absolutely, with no reservations whatsoever! The website for Midwood Smokehouse is http://www.midwoodsmokehouse.com. You can also find them on Facebook here. They are located at 1401 Central Ave., Charlotte, NC 28205. 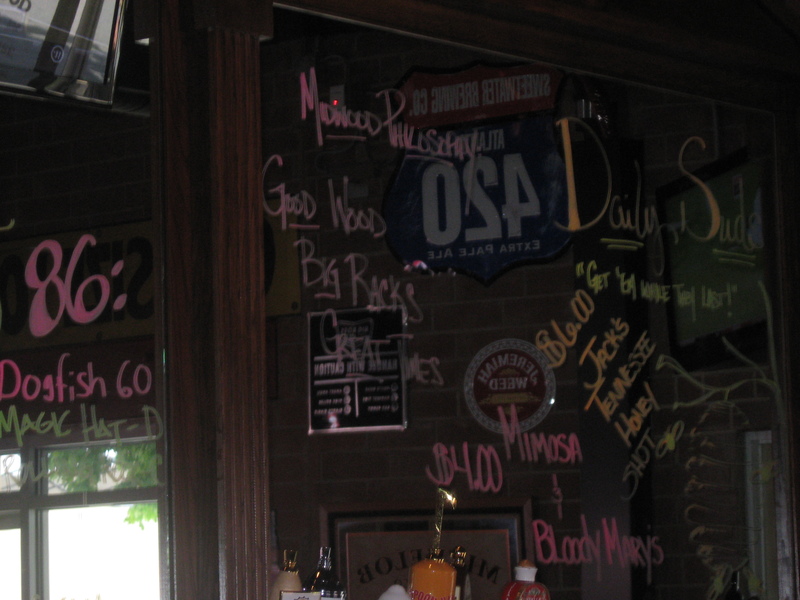 This entry was posted in Restaurants and tagged barbecue, BBQ, BBQ Joints, Brisket, Charlotte BBQ Joints, Charlotte NC, chopped pork, NC BBQ Joints, North Carolina, prime rib, Ribs. Bookmark the permalink. I have “Liked” their facebook page and I sse from the website they will soon have a twitter account. Did you get a chance to confirm what kind of Smoker they are using? Here in Ontario the last two new BBQ restaurants I featured had 500 lb. Southern Pride Smokers put in that burn stick. Thanks! I did not get an opportunity to check out what kind of cooker they are using. I had emailed the GM to see if I could get a tour a few days ago. He explained to me today that he usually routes all requests like that through a central PR person (since the owner of the restaurant owns several other restaurants here in Charlotte), and I’m assuming that person had just not gotten in touch yet. I hope to still get a tour of their facilities. Hey, Thanks for the great review on Midwood. I am the owner and really appreciate it. Regarding the smoker, it is an all wood fired smoker fueled by oak and hickory. The law in NC allows the use of this smoker, but many competitors don’t use the because they are more difficult to use. Leave your number with our GM and I will get you a tour. Thank you Frank! I was a bit unclear on the NC laws regarding smokers and such, and I appreciate the clarification! I’ve emailed the GM my number (I spoke with him at length on Sunday), and I look forward to a tour! No law prohibits smokers fueled by all wood. I made some inquiries and found that the smoker at Midwood Smokehouse is fueled by wood and nothing but wood. No electric or gas. Thus the perfect smoke flavor and tell tale smoke ring. To my knowledge no other place in Charlotte cooks with straight wood. This is not due to any law. Going all wood requires serious skill and obviously Midwood has a top notch pit master. I hope you will correct the article as when it comes to Q this place offers something unique in Charlotte. Burning wood is as real as it gets and this the only place to get it. I appreciate your feedback, and I have changed the write-up to reflect that. What a great review. I am going to add this to my site for sure. Man do I want to go here. Everything looks great, but for some reason the smoked prime rib really stuck out. Let’s meet up here this fall!